Matt Lishman is a multi faceted artist with his main focus being acting. Matt is currently playing Jim in The Proscenium Club’s 2018/2019 tour of Sit, James. He has played Malcolm in Macbeth (Theatre North 2017), Cassidy in The Bonds that Hold Us (On The Edge Fringe 2017), Bobby in Tough (On The Edge Fringe 2016), and Philip in Sanctuary (On The Edge Fringe 2015). 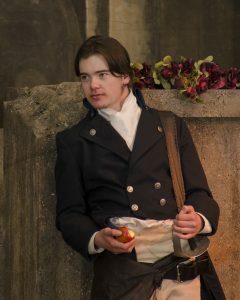 In winter 2017 Matt appeared as Peter in the Watershed Shakespeare Festival Collective production of Romeo and Juliet. 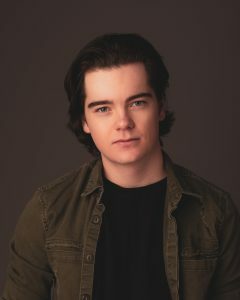 Some of Matt’s Television/Film credits include parts in: Goalie, TVO’s Hard Rock Medical, CTV’s Cardinal, and the Netflix original film, The New Romantic. 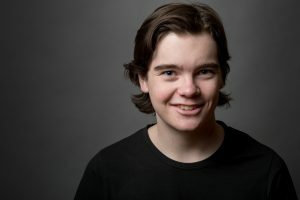 In this year’s On The Edge Fringe Festival Matt made his directorial debut with Dragged, which earned a best of fringe nomination for viewers choice, while also appearing in the world premiere of Stephanie Kast’s new play The Cavewoman. 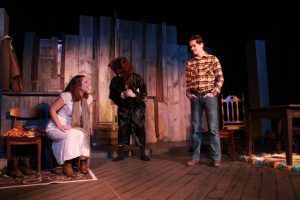 Matt worked as Stage Manager and assistant carpenter on Proscenium Club’s previous show, The Life and Death of John the Milkman. As an Installation artist Matt Lishman focuses on form and the intersecting points between the physical world and the world where people imagine. His creations have engaged multiple professional venues with the creation of “Red Truck” which has been installed in various public spaces in North Bay area.